Open Doors To A Whole New World Of Communication. 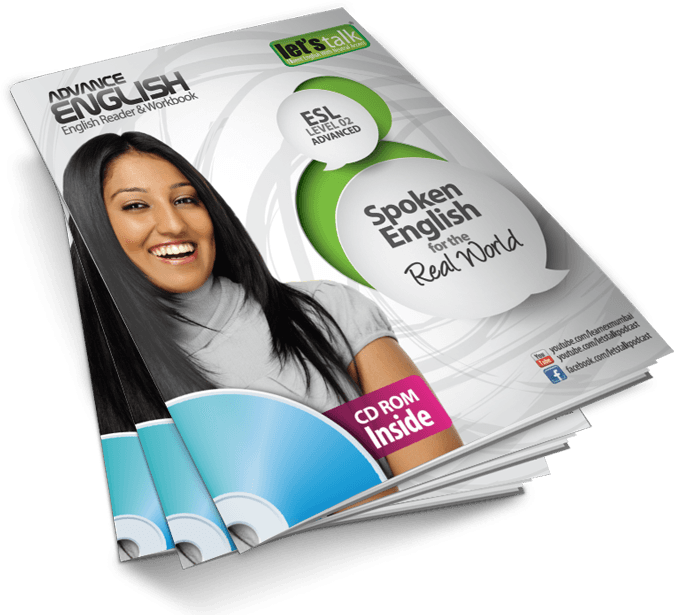 Advanced English speaking course to speak English fluently in the real world. Our Advanced Spoken English course is designed to boost your English speaking skills to the next level. This Advanced English speaking course features realistic dialogues through the explanation of English grammar that goes beyond the traditional and basic system of learning the English language. The vocabulary section of this Advanced English speaking course includes the most commonly idiomatic English expressions that you would come across your daily English conversation. This Advanced Spoken English course at Let’s Talk Institute has plenty of interactive exercises to help you improve your English, become fluent in English and accomplish your real life goal to speak English fluently and confidently. Furthermore, this Advanced English speaking course teaches you English, the way you hear on the streets, in restaurants, at the movie theatre, and at parties – It will teach you the English of your friends and co-workers. With this Advanced Spoken English course is bundled with voice & accent training, personality development training and public speaking skills through group discussions so that you acquire all the spoken English skills required to communicate effectively with confidence. Learn different types of Nouns, Adverbs, hands-on various Tenses. How to implement the learned grammar in conversation. Overcome barriers to fluent English. Speaking and Listening in English aren’t the same. Learn commonly used idioms, phrases and proverbs. Practice writing skills in English. How to write effective emails. Learn business correspondence required at work. Improve your reading skills – Focus on syllable word stress and Intonation. Extempore and Group discussions to make your think in English and speak impromptu. Learn the difference between Normal English vs Smart English. Testing and Evaluation of what you have learned in the previous sections. Correct your diction and improve English pronunciation. Learn vowel and consonant sounds. Learn appropriate word stress to gain clarity in communication. Killing nervousness and developing confidence to communicate. Dress code and colours that make you look professional. Learn basic etiquette required to project your right image. How to handle stress in life. 1. Personal communication with strangers, office colleagues, friends, relatives etc. 2. Business communication – Telephonic communication with clients and customers. Communication at office meetings and superiors. 3. Formatting a professional job resume`. Job interview question ( what do they mean) and their acceptable answers. Tips and tricks for a successful job interview. The ever growing library of free English lessons to learn the most difficult English grammar rules, Vocabulary & English conversation to speak English fluently in the real world. Interactive English speaking classes with audio – video content to learn English faster and better. MP3 files provided as per the course modules to learn anywhere, anytime. Looking to get your dream job! It’s time to flash the Job interview skills you have learned at our English speaking classes. Job interview assistance with over 100+ MNC’s. That’s what we say – Better English – Better Job – Better Salary. It doesn’t end with the completion of your English speaking classes. You would access to our free online English lessons, the ever-growing library of more than 1200+ English lessons already in place covering topics such as, Grammar, Vocabulary, Conversation and much more. Our English speaking classes course books are designed with a lot of picture vocabulary to get a better understanding of the lesson plans. An easy way to remember the most difficult vocabulary as pictures register faster than words. Carefully designed advanced English speaking course modules with tonnes of role-plays, exercises & vocabulary. With this English speaking classes, you would get an advanced Spoken English course reader, Spoken English exercise book with an MP3 CD ( copiable to your mobile phone). Take the content wherever you go, learning never stops for you. 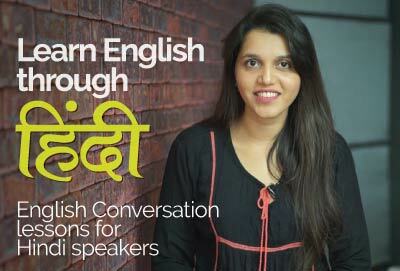 You have always wanted to speak fluent English, don’t you? So what are you waiting for? Get started right now, send us your details and our course executive would ring you with all the details you need to get started to be fluent in spoken English. After my graduation, I immediately started to work at a local software company, as I was required to support my family. After 3 years I got a job opportunity at an MNC, but couldn’t clear my job interview as I lacked fluency in my English communication skills and my job profile required me to speak to international clients. I realised the importance of speaking fluent English. One of my friends suggested me to join Let’s Talk English speaking classes at Thane, Initially, I was a bit hesitated, but after I met the counsellor at the learning centre, I felt quite comfortable with the advanced English speaking course which included voice and accent training and personality development training combined in one course, it sounded practical to me. After 2 months of advanced English speaking course, today I see quite an improvement in my English communication skills. I sound better, feel confident, and I am sure to clear my next job interview soon. Thanks, Let’s Talk Institute.